I was 10 years old when I first visited Agra. Like every person who visits the Taj Mahal, I fell in love with it. Words cannot fully describe the breathtaking beauty of the monument which stands for love. Situated on the banks of the river Yamuna, this piece of Mughal architecture beautifully combines Persian and Indian architecture style. But the ancient city of Agra, which according to legends is in existence since 1000 BC, does not have only the Taj Mahal to boast of. There is so much to discover here and every visitor should explore Agra and not just visit the Taj Mahal. This former capital of India is home to some of the most magnificent monuments which talk of the rich and varied heritage of India we all are proud of. They define the changing patterns of the development of architectural designs and tell the untold stories of the Mughal era. They take you back in time when India’s history was being written. If you are in Agra, you have to visit these offbeat places and little monuments too. Spread in over 119 hectares of land, the Tomb of Akbar the Great is one of the important Mughal architectural work of art. As per a Tartary custom, one must construct one’s tomb in one’s lifetime, and Mughals followed the custom religiously. Hence, the third Mughal emperor, Akbar, himself commenced the construction of the tomb in around 1600, and the same was completed by his son Jahangir in 1605-1613. The most striking feature of the place is the beautifully constructed gateway with intricately carved minarets. 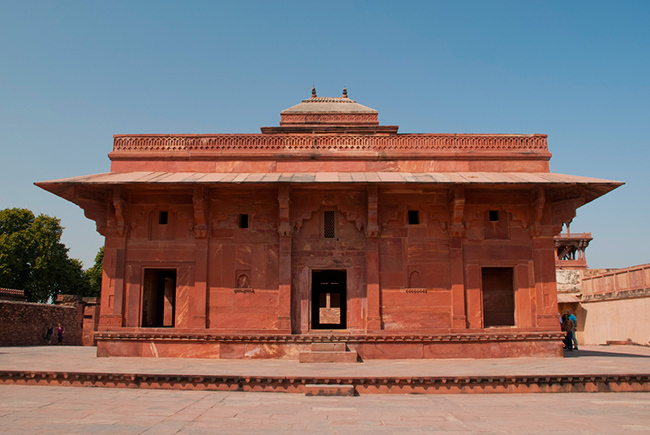 It is constructed mainly from deep red sandstone with panels decorated in geometric, floral and calligraphy designs. It is a wonderful blend of Hindu, Christian, Islamic, Buddhist and Jain themes and has laid foundation for a more complex design which was later incorporated in Itmad-ud-Daulah’s tomb. 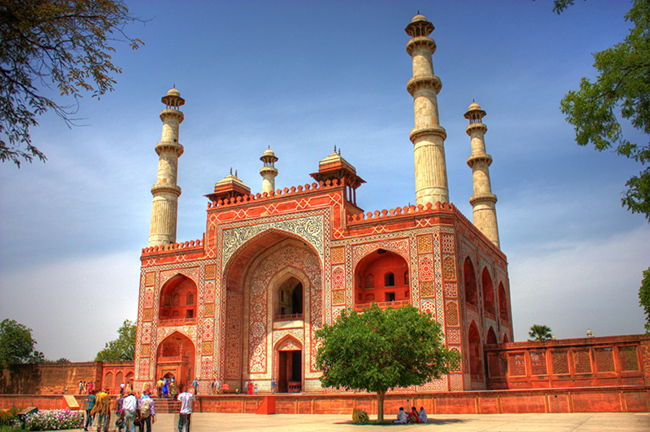 Akbar’s tomb is located in Sikandra, in the suburbs of Agra, on Mathura road on National Highway 2. Located on the left bank of the river Yamuna, Itmad-ud-Dualah ka Maqbara (tomb) is a Mughal mausoleum which was commissioned by Nur Jahan, the wife of Jahangir, for her father Mirza Ghiyas Beg, who had been given the title of Itmad-ud-Daulah (pillar of the state). Mirza Ghiyas Beg was also grandfather of Mumtaz Mahal, wife of Shah Jahan, who constructed the Taj Mahal. 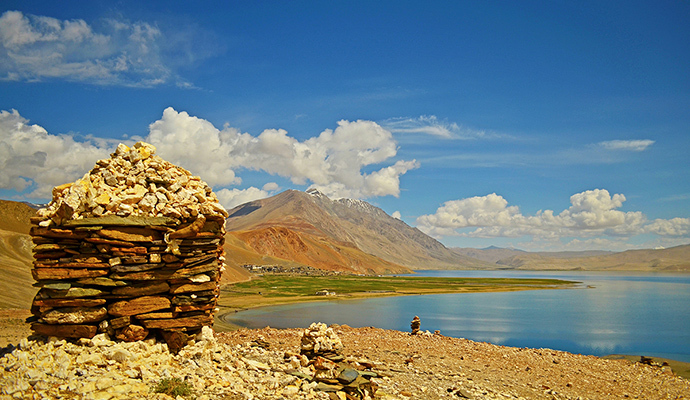 This is one of the most overlooked monument but gem of an offbeat attraction. Constructed between 1622 and 1628, this mausoleum depicts interesting transition in Mughal architecture from red sandstone to white marble. “Jewel Box”, as this monument is often referred to as, is also regarded as a draft of the Taj Mahal. Built in 1635, Chini-ka-Rauza is considered an important milestone in Indo-Persian architecture as it was the first building in India that was exclusively decorated in glazed tile works. It is a funerary monument which contains the tomb of Allama Afzal Khan Mullah, a scholar and poet, who was the Prime Minister of the Mughal king Shah Jahan. The rectangular tomb, constructed primarily of brown stone, is covered with colorful tiles on the walls and has an Afghan style rounded dome with inscriptions from Islamic texts. 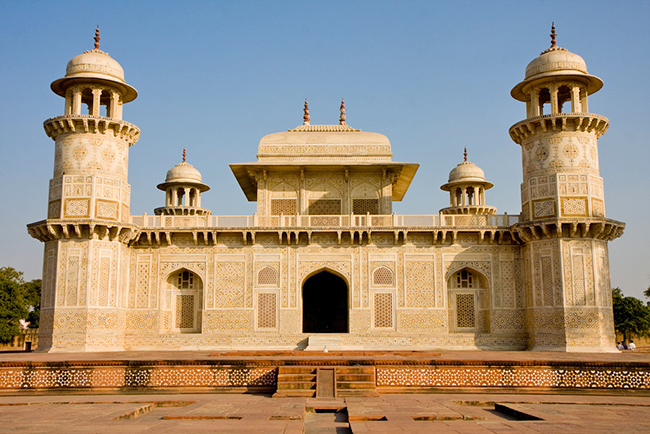 It is situated only 1 km north of Itmad-ud-Daulah Tomb, on the eastern bank of the Yamuna. Founded in 1569, by the Mughal emperor Akbar, Fatehpur Sikri is perhaps one of the best preserved collections of Mughal architecture. 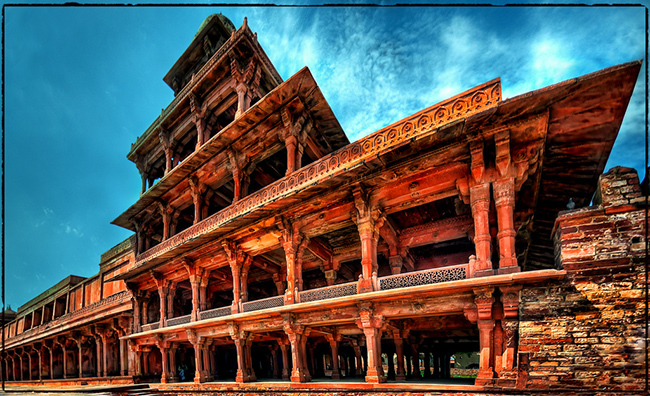 Fatehpur Sikri served as the capital of Mughal Empire from 1571 to 1585. A beautiful blend of Hindu and Jain architecture can be seen influencing the Islamic elements in the palace city, which is surrounded by a 6 km wall on three sides. Buland Darwaza, Jama Masjid, Diwan-e-Aam, Diwan-e-Khas and Tomb of Salim Chisti are among the few structures which show brilliant craftsmanship. 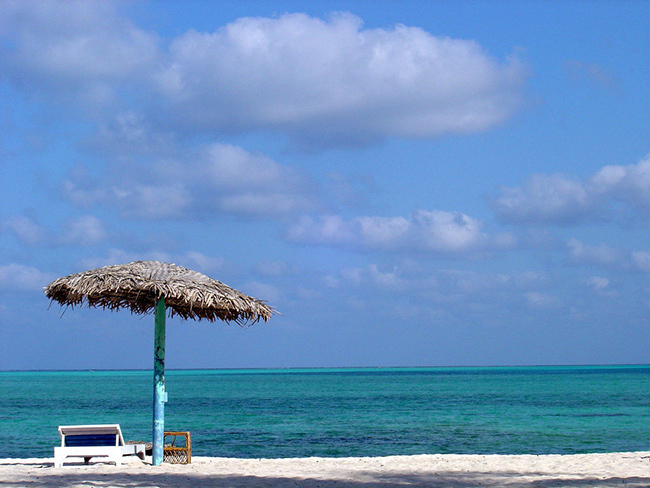 It is situated about 40 km from Agra and buses and taxies are easily available from Agra. This UNESCO World Heritage site is like a walled city, which was originally held by the Hindu Sikarwar Rajputs. 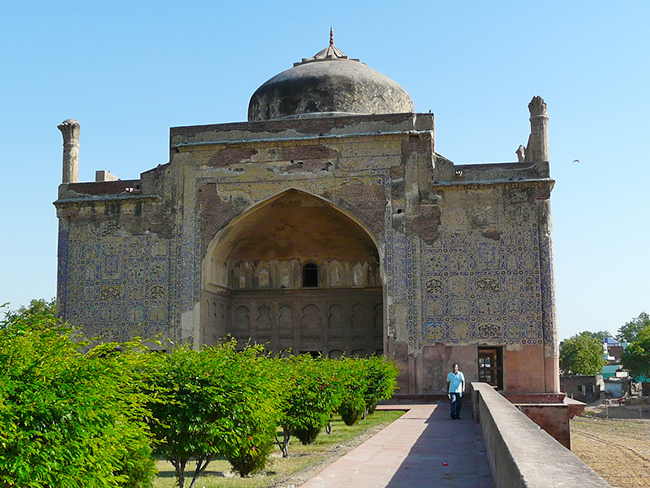 Sikandar Lodi, the first Sultan of Delhi, shifted the capital to Agra and lived in this fort. After changing hands from Ibrahim Lodi to Humayun to Sher Shah to Hemu, Akbar finally made it his capital in 1558 after arriving in Agra. Spread over 94 acre semicircular land, and has four gates, one of which is the monumental Delhi Gate, made in red sandstone, considered the grandest of the four gates. Aurangzeb, Shah Jahan’s son, had imprisoned Shah Jahan in the fort for 8 years until he died in 1666 and was buried at the Taj Mahal. After Aurangzeb’s death in 1707, the Agra Fort has stood the sieges and plunders during the 18th century when it was held by the Jats and the Marathas, before the British captured it in 1803. Did you know the world famous Koh-i-noor diamond was first seized by Humayun at the Agra fort after the First Battle of Panipat in 1526? 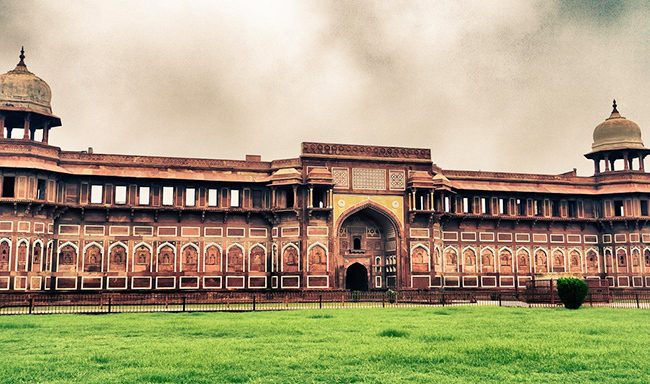 Agra Fort is situated about 2.5 km northwest of the Taj in Agra, Uttar Pradesh. Ram Bagh, originally built by the first Mughal Emperor of India, Babur, is the oldest Mughal garden in India. Located about 5 km from the Taj Mahal, Babur was temporarily buried here before being interred in Kabul in Afghanistan. 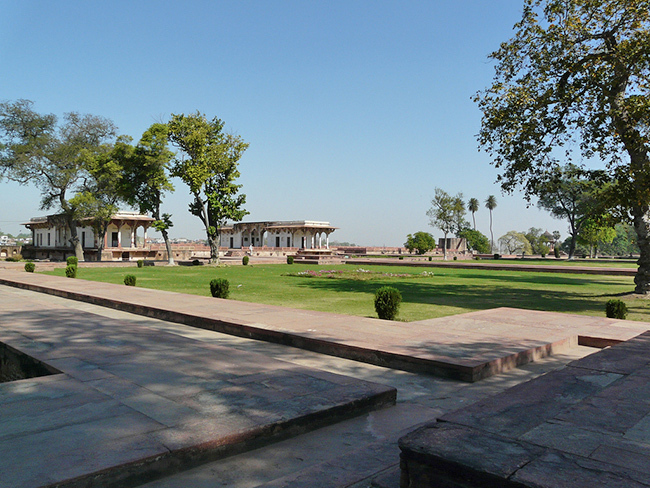 Ram Bagh, which is a corrupted version of the Persian phrase “Aaram Bagh”, meaning garden of rest, is also known as Bagh-I Nur Afshan (Light Scattering Garden) and Alasi Bagh (Lazy Garden). According to legend, Emperor Akbar proposed to his third wife, who was a gardener there, by lying idle for six days until she agreed to marry him. Who knew that perhaps the greatest ruler to rule India was so romantic?